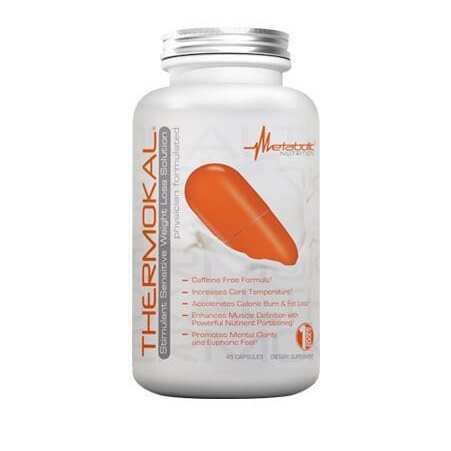 Increase energy, lose weight, and feel more confident than ever with the most powerful thermogenic on the market, without question! 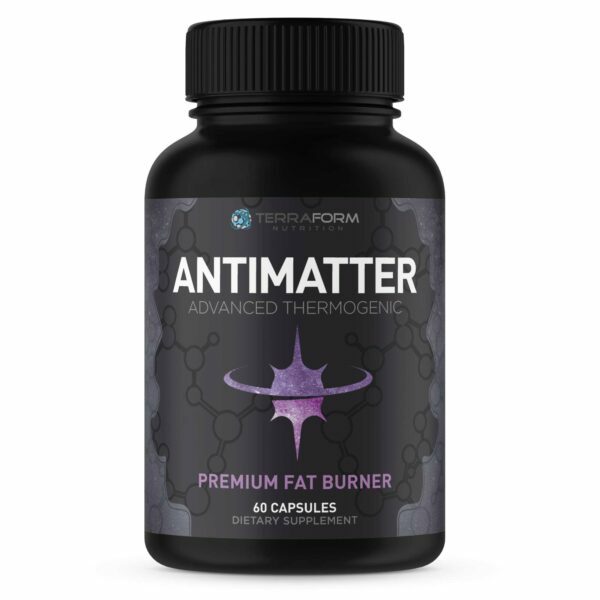 This groundbreaking product provides long lasting, almost limitless energy while accelerating your metabolism so that you burn the most fat, shred the most calories, and get the most out of your workout every time. The best part is that you have the energy to meet your goals and this product helps make the most out of that energy. 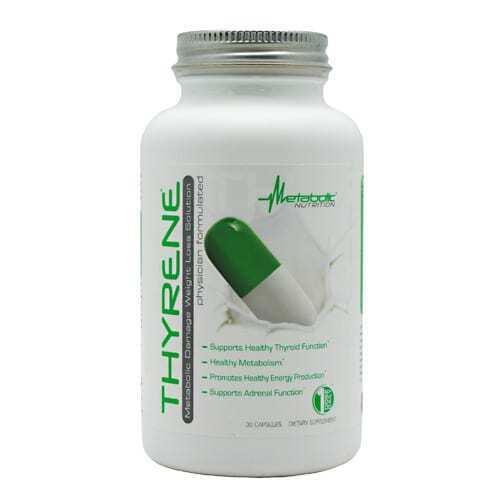 Stimulates athletic performance and weight loss. Powerful weight loss aid. Early research suggests that it may be able to positively affect some ailments related to diabetes. How do I effectively take Synedrex? 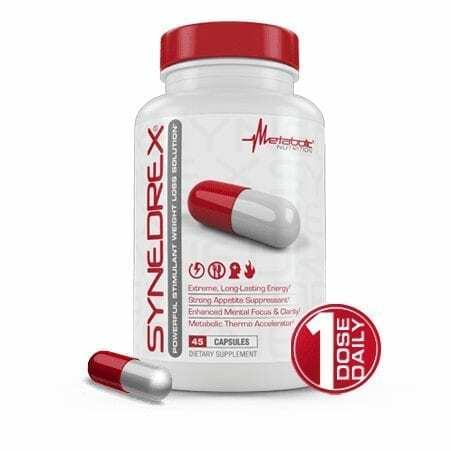 Synedrex is a powerful supplement that should be taken as directed. Customers should take one pill per day, in the morning. If you believe it is too strong for you, you can take one pill every other day. If it is working well and you want to try to increase to two pills a day, you can take two pills in the morning, but do not exceed two pills per day. Customers have reported that it may upset your stomach if not taken with food. Some users recommend a more “substantial” meal in the morning to avoid upset stomach. Effects should last approximately twelve hours. If you are experiencing effects from the supplement fifteen hours after usage, try staggering your dosage to one pill every other day. It is a product that makes the body produce heat. This interaction is usually a result of increased metabolic activity. 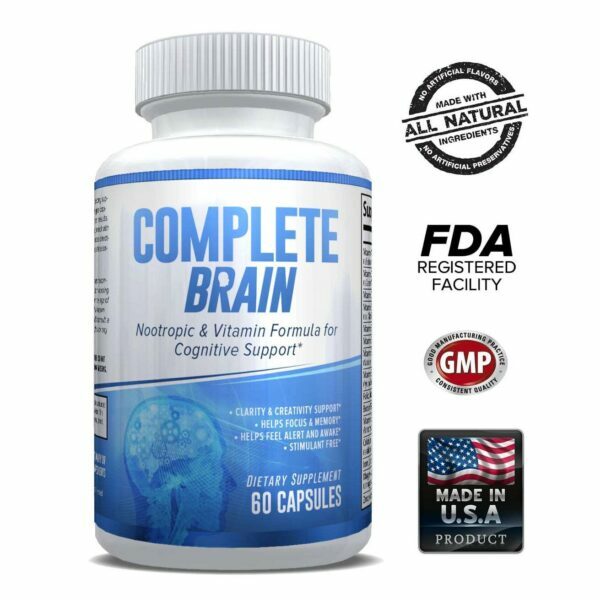 In other words, thermogenics are used to boost metabolism. 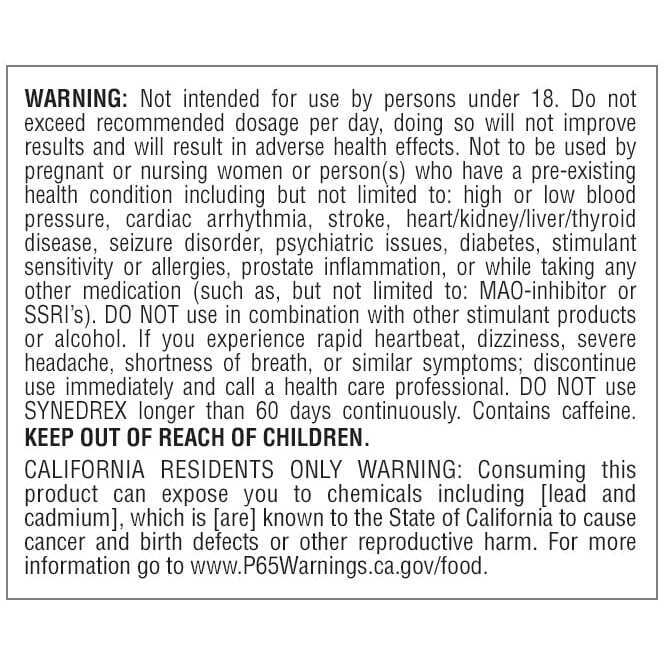 Are there potential side-effects for this product? We scoured review after review of this product and the good news is that it is overwhelmingly positive! What we did find: Certain users reported shakiness or jitteriness. Most users said that when adding a meal to their morning routine, it alleviates or erases most of this side effect. Unfortunately, any “boost” product has the potential to make you feel like you are going a mile a minute! Trust the process and take the precautions to limit this. Eat a good, healthy breakfast with your dosage and make sure you get plenty of rest! Some users reported a pleasant side-effect of increased mental focus. 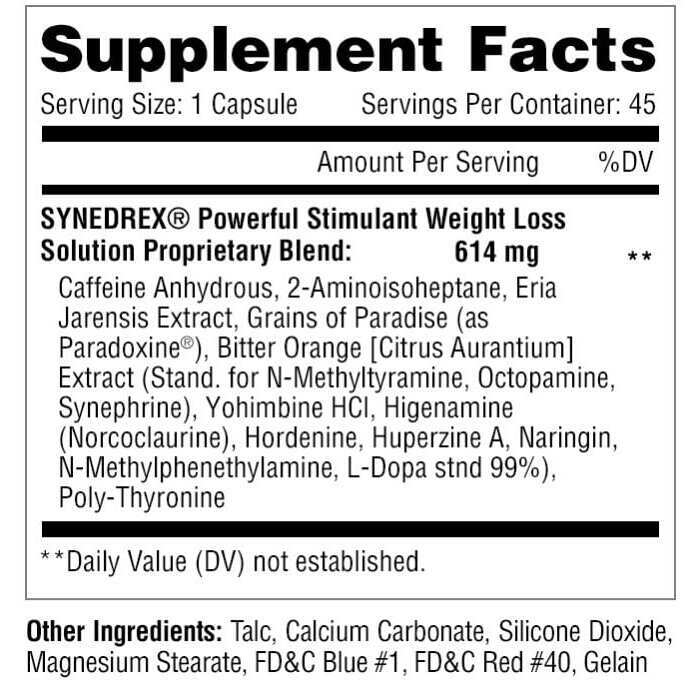 Whereas this isn’t the main usage of Synedrex, the ingredients involved (check out the detailed breakdowns above!) do lend itself to a potential boost in mental toughness and focus. Of the hundreds of reviews we looked through to bring you the best answer to this question, one user said he/she experienced mild anxiety. After staggering the pill to every other day, this unpleasant side effect was alleviated for this individual. 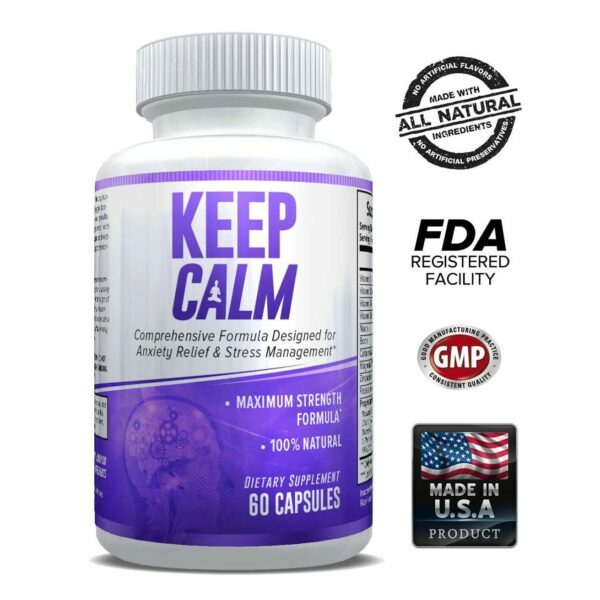 Just remember that with any supplement, each body reacts differently and is unique to your own experience. Start off slow and listen to your body.